Google, and thus the Google Cloud is popularly known for its toughest interview questions. So, in this blog, we’ll cover the top Google Cloud interview questions with the detailed answers. All the job seekers out there in the market can agree with one thing inarguably that Google is one of the best places in the world to work. Not only this, but the Internet giant has also secured its name in the top 50 places in the world to work in year after year. It has also subsequently made its way through lists such as the Fortune Magazine’s list of the top 100 companies in the world to work for. The main reason why Google is liked by job seekers and current employees to such a great extent is the fact that Google has some of the most competitive perks and undoubtedly the best options for career growth in the present market. Google from the very beginning has developed a philosophy to keep its employees happy all-round the year which they know will, in turn, help them fulfill their main motto, of developing an innovative culture and positively impact the human race at all times. Google also comes on the list of companies with the toughest interview questions. 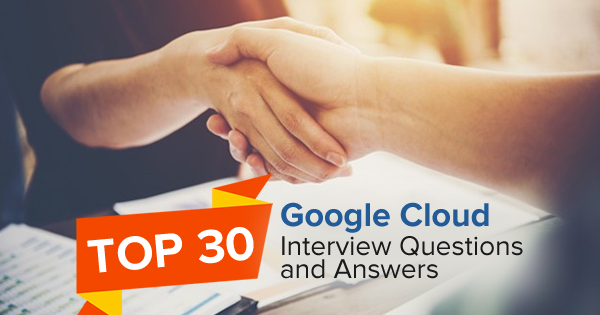 Therefore in this article, we will cover top Google cloud interview questions in depth. For those, who want to build a career on Google Cloud Platform, here are some best Google cloud interview questions and answers which will surely prove helpful to get better prepared. Answer: Being the very basic, this is one of the most common Google cloud interview questions and thus also one of the most frequently asked questions at the Google Cloud Computing interview process. The answer to this question can be summarized as follows. Cloud computing can be defined as the computational power which completely resides on the cloud at all times. It is one of the latest innovations in the internet saga domain and primarily uses the Internet i.e. the Cloud, as its chosen method of delivery. The cloud computing service is truly global and contains no border or geographical restrictions as such. Starting from small businesses which need computational support on a regular basis all the way up to large enterprises, almost every company on the planet uses Google Cloud in some way or the other. Answer: Similar to the above Google cloud interview question, this too is a question aimed at checking the candidate’s basic understanding of cloud computing technology. To answer this, a candidate can simply state that the cloud is a combination of network, hardware, storage, interface, and storage that combines and delivers cloud computing as a service throughout the globe. The cloud computing platform mainly has 2 stakeholders in the process. The first one being the end user who is using the cloud service to serve a multitude of purposes and the next is the cloud service provider who is responsible for taking care of the cloud and IT assets of the managing company behind the cloud services. 3. What are the main features of Cloud Services? Answer: A part of the Google cloud interview questions and answers, the answer to this question can be given in the following manner. Like most other states of the art innovations in the market, Cloud Service and Cloud Computing as a whole also has a multitude of features and advantages associated with it. Mentioned below are the same. The ease to access and manage commercial software from anywhere around the globe. All the management activities associated with a software can and is centralized easily to a central web service. The ability to design and develop web applications which are capable of handling multiple clients from across the globe at the same time. Putting an end to the need of downloading software upgrades by centralizing and automating the updating process of all software that is installed on the platform. 4. What and how many types of development models are used in the Cloud? Answer: This is one of the most common Google cloud engineer interview questions and can be answered in the following manner. Similar to other complex and latest innovations in the technology industry, the development of cloud computing also calls for the use of a variety of development models. Mentioned is the list of the same. 5. Why do organizations need to manage their workload? Answer: This question is a part of the Google cloud architect interview questions which are asked to candidates interested to work as Cloud Architects for the internet giant. The answer for the same is as below. The workload in an organization can be defined as an independent service of its own and having a set of code which needs to be executed. This workload contains everything starting from data-intensive workload all the way up to transaction and storage processing. All this workload doesn’t depend at all on outside elements. The main reasons as to why organizations should manage their workload are as follows. To have an idea about how their applications are running. To exactly know what functions are taking place. To get an idea about the charges of an individual department in exchange for using these services. 6. What are the advantages of Cloud Services? The entire infrastructure saves a lot of cost at the consumer’s end since the consumer doesn’t necessarily have to install any kind of infrastructure at their end to use this service. It supports the development of both robust and highly scalable applications. Since its arrival, the whole development and scaling process which earlier used to take months can now be done in a matter of days. Maintenance and deployment of any application on the platform are super easy and efficient which saves a lot of time in the long run. 7. Share your views on Cloud Computing Revolution. Answer: Since its inception into the market, cloud computing has created a revolution of sorts in the market. The main idea behind the cloud computing revolution doesn’t lie in the ideology of doing old things a new way, but also to make the entire process cheaper and much more efficient in the long run. With the advancement of cloud computing every day, new doors are being explored and the future of the IT industry does seem very promising. 8. What can be done using Cloud Computing? Answer: As Google is a cloud computing platform, Google Cloud interview questions are comprised of the general cloud computing questions. So, while going for a Google cloud interview, you need to prepare yourself with the basic cloud computing knowledge. The potential of what all can be done using cloud computing is far greater than what most people might assume. The fact that the technology is super speedy, added with the fact that the consumer can just start using it without the need to purchase anything, itself are solid factors which point towards a bright future. For example, the medical and healthcare industry now uses cloud computing on a regular basis to reach and be in touch with their patients at all times. Thus it can be confidently said that the future holds a plethora of opportunities for cloud computing and its patrons. 9. How would you save your applications, software, and drivers for a long term without using any magnetic disk? Answer: With the invention and advancement made in the past few years in the Cloud Computing industry, the need for disks or storage devices has become null and void. These days, any data, be it in any format can be easily stored away for a long period of time, just by uploading it on a cloud computing service. Once uploaded, the data will remain there forever unless the user wants to make some changes or modifications. Although it is a general question on cloud computing you may find this among Google Cloud interview questions and answers. 10. How does Cloud Computing provide on-demand functionality? Answer: Cloud computing as a technology was created on the pillars of providing functionality to all its users on demand, anytime anywhere. With the latest advancements and easy access to applications such as Google Cloud, the idea is much easily realized than earlier. With applications like Google Cloud, a user can view the files on the cloud on any device at any time of their preference no matter in which part of the world they are in. 11. What is Google Cloud Platform? Answer: This is one of the most basic Google Cloud Platform interview questions and answers that the interviewer may ask the candidate. The answer to this question can be summarized as below. Google Cloud Platform is a cloud platform developed by Google, that helps people to access the cloud systems and computing services. GCP offers a large number of services under the compute, database, storage, migration and networking domains of cloud computing. 12. What are the various components of the Google Cloud Platform? 13. What are the main advantages of using Google Cloud Platform? Answer: Google Cloud Platform is a medium that provides its users an access to the best cloud services and features. It is gaining popularity among the cloud professionals as well as users for the advantages if offer. Google Cloud servers allow you to work from anywhere to have access to your information and data. The security level of Google Cloud Platform is exemplary; the cloud platform and networks are secured and encrypted with various security measures. If you are going for the Google Cloud interview, you should prepare yourself with enough knowledge of Google Cloud Platform. The advantages of GCP is among frequently asked Google Cloud interview questions, so you need to be prepared to answer it. 14. Why should you opt to Google Cloud Hosting? The interviewer may ask this question to check your knowledge and explanation skills about Google Cloud. This type of questions are basically categorized under the Google Cloud consultant interview questions and may be asked in the Google Cloud interview. 15. What are the libraries and tools for cloud storage on GCP? Answer: At the core level, XML API and JSON API are there for the cloud storage on Google Cloud Platform. But along with these, there are following options provided by Google to interact with the cloud storage. There are many third party libraries and tools such as Boto Library. This is the technical question that you may come across if you are going for the Google Cloud Engineer interview. You need to prepare yourself with the basic knowledge of GCP tools and libraries. 16. What do you know about Google Compute Engine? Answer: Google Cloud Engine is the basic component of Google Cloud Platform. So, it becomes a common question that lies under the Google Cloud Engineer interview questions as well as Google Cloud Architect interview questions. Google Compute Engine is an IaaS product that offers self-managed and flexible virtual machines that are hosted on the infrastructure of Google. It includes Windows and Linux based virtual machines that may run on local, KVM, and durable storage options. It also includes REST-based API for the control and configuration purposes. 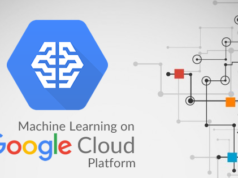 Google Compute Engine integrates with GCP technologies such as Google App Engine, Google Cloud Storage, and Google BigQuery in order to extend its computational ability and thus creates more sophisticated and complex applications. Preparing for Google Cloud Architect Certification? Check out the Google Cloud Certified Professional Cloud Architect practice test. 17. How are the Google Compute Engine and Google App Engine related? Answer: This typical and straightforward question is a part of the frequently asked Google Cloud Platform interview questions and answers, and can be answered like this. Google Compute Engine and Google App Engine are complementary to each other. Google Compute Engine is the IaaS product whereas Google App Engine is a PaaS product of Google. Google App Engine is generally used to run web-based applications, mobile backends, and line of business. If you want to keep the underlying infrastructure in more of your control, then Compute Engine is a perfect choice. For instance, you can use Compute Engine for the implementation of customized business logic or in case, you need to run your own storage system. 18. How does the pricing model work in GCP cloud? Answer: While working on Google Cloud Platform, the user is charged on the basis of compute instance, network use, and storage by Google Compute Engine. Google Cloud charges virtual machines on the basis of per second with the limit of minimum 1 minute. Then, the cost of storage is charged on the basis of the amount of data that you store. The cost of the network is calculated as per the amount of data that has been transferred between the virtual machine instances communicating with each other over the network. You should prepare yourself with the questions on Google Cloud Platform pricing models as these are among most common Google Cloud interview questions. 19. What are the different methods for the authentication of Google Compute Engine API? 20. What are the service accounts? How will you create one? Answer: This is one of the most common Google Cloud interview questions and the detailed answer to it can be given this way. The special accounts related to a project are known as the Service Accounts. The service accounts are used for the authorization of Google Compute Engine so that it could perform on behalf of the user and thus could access non-sensitive data and information. These accounts generally simplify the authentication process from Google Cloud Engine to the other services through handling the process of authorization for the user. It is required to mention that service accounts are not used in order to access the information of the user. The user doesn’t need to create a service account manually. It is automatically created by the Compute Engine whenever a new instance is created. Google Compute Engine also specifies the scope of the service account for that particular instance when it is created. 21. What do you know about Projects? 22. How will you create a Project? In order to set up billing, follow the prompts. Remember, if you are new to the Google Cloud Platform, you can use your free trial credit to make the payment for your instance. 23. How will you differentiate a Project Id and Project Number? Whenever a new project is created, the project number for that is created automatically whereas the project number is created by the user himself. The project number is compulsory and mandatory while the project id can be optional for may services (but it is a must for the Google Compute Engine). Simple but one of the best Google Cloud interview questions, this question may be asked in the Google Cloud Engineer interview. So, it is important to cover the basic concepts of projects while going for the Google Cloud interview. Google Cloud brings something new every year. Let’s come across the Google Cloud trends in 2018. 24. How will you request more quota for your project? Answer: Some default quotas are provided to all the Google Compute Engine projects for various types of resources. The quotas can also be increased on the basis of per-project. One can check the quota limits for the project on the quota page on the Google Cloud Platform Console. In case, you find that you have reached the quota limit for your resources, and you want to increase the quota, then you can make a request to get more quota for some specific resources using IAM quotas page. You can request more quota directly through the Edit Quotas button on the top of the page. Whether you are going for the Google Cloud Architect or Google Cloud Consultant interview, you may come across this type of Google Cloud interview questions. So, prepare yourself very well to crack the interview. 25. Suppose you have deleted your instance by mistake. Will you be able to retrieve it back? If yes, how? Answer: It is a very simple question but based on the deep understanding of the Google cloud platform. This is among best Google Cloud Platform interview questions that can be answered in the following way. No, it is not possible to retrieve the instances that have been deleted once. If it has been stopped, it can be retrieved back by simply starting it again. 26. What is Google BigQuery? What are the benefits of BigQuery for the data warehouse practitioners? Answer: Google BigQuery is a replacement of the hardware setup for the traditional data warehouse. It is used as a data warehouse and thus, acts as a collective store for all the analytical data in an organization. Also, the BigQuery organizes the data table into the units that are known as datasets. BigQuery allocated query resources and storage resources dynamically on the basis of requirement and usage. Thus, it doesn’t require the provisioning of resources before usage. BigQuery stores data in different formats such as proprietary format, proprietary columnar format, query access pattern, Google’s distributed file system and others for the efficient storage management. BigQuery is fully maintained and managed service. BigQuery engineers manage the updates and maintenance of the service fully without any downtime or hindrance to the performance. BigQuery provides backup recovery and disaster recovery at a broader level. The users can easily undo the changes and revert to the previous state without making any request for the backup recovery. One who is preparing for the Google Cloud Data Engineer interview may come across this type of questions in the interview. It lies among the latest Google Cloud interview questions and you need to cover the detailed answer of it. Thinking to validate your Google Cloud knowledge with a certification, here are the Google Cloud Certifications you can choose from. 27. What do you know about Google Cloud SDK? Answer: Google Cloud SDK (Software Development Kit), in simple terms, is a set of tools that are used to manage applications and resources that are hosted on the Google Cloud Platform. It is composed of the gsutil, gcloud, and bqcommand line tools. The gcloudtool is automatically downloaded with the Cloud SDK. There are some prerequisites or the system requirements for the installation of Google Cloud SDK. Google Cloud SDK run on specific platforms – Windows, Linux, and macOS and requires Python 2.7.x. Some specific tools in the Google Cloud SDK may have additional requirements such as Java tools used for the development of Google App Engine requires Java 1.7 or the later one. You may come across one or more questions on Google Cloud Software Development Kit in your Google Cloud interview. Preferably, this type of questions are among the top Google Cloud Engineer interview questions. 28. What are the different installation options for Google Cloud SDK? Answer: There are four different methods for the installation of the Google Cloud SDK. As per the requirement, the user can opt for any of the followings to install Google Cloud Software Development Kit. 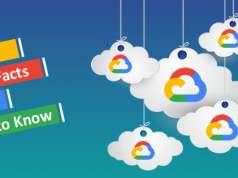 Using Cloud SDK with scripts or continuous integration or continuous deployment – in this case, the user can install google cloud SDK by downloading a versioned archive for a non-interactive installation of a specific version of Cloud SDK. By running Red Hat Enterprise Linux 7/CentOS 7 – YUM is used to get the latest released version of the Google Cloud SDK in the package format. Through running Ubuntu/Debian – APT-GET is used to get the latest released version of the Google Cloud SDK in the package format. For all the other use cases, the user can run the interactive installer to install the latest version of the Google Cloud SDK. 29. What are the Google Cloud APIs? How can you access them? Answer: As an important part of the Google Cloud Platform, Google Cloud APIs questions covers a section of the frequently asked Google Cloud interview questions. Get familiar with the basics and you will be all prepared for the interview. Allow users to add the power of everything to your Google Cloud-based application, and that’s in the easiest manner. APIs can add power to everything from storage access to the image analysis that is based on machine learning. One can easily access Cloud APIs with the client libraries from the server applications. You can use a number of programming languages to access Google Cloud APIs, by using mobile applications via Firebase SDKs or through the third-party clients. Google Cloud APIs can also be accessed through Google Cloud Platform Console Web UI or Google SDK command line tools. 30. How will you view your transaction history in the Google Cloud Platform? Answer: Whatever is the job role, costing, payment, transaction are the common terms which form a part of the Google Cloud interview questions. The detailed step-wise answer to this type of GCP interview questions can be given like this. Sign in to the Google Cloud Platform Console. Go to the left side menu in the console and select Billing. Select Go to linked billing account in case you have more than one billing account in order to manage the billing of the current project. If you want to check to bill for a different account, select Manage billing accounts. Viewing account history by the transaction type –Click All Transactions and you can sort the transactions on the basis of Costs, Adjustments, Earnings, and Taxes. Viewing transaction history in summary or detailed view –You can find all the activities of your account billing in the Detailed view. And the transactions are grouped by the type in the Summary view so that you can have a quick view of the payments, costs, and adjustments. Changing the data range –In this view, the user can select any pre-defined range like the previous month, this year, or Custom Data Range to set a range. All in all, it can be understood from the above questions that getting a job at Google, the most famed internet giant in the world is not an easy task. But with a little hard work and dedication, everything is possible, even cracking Google cloud interview questions. We are sure that this collection of the latest Google Cloud interview questions and answers will help you a lot in your endeavor. Google Cloud Architect is one of top cloud computing certifications. If you are an aspirant preparing for the Google Cloud Architect certifications, give your preparation a new edge with the Google Cloud Architect practice tests. Have any query/concern regarding Google Cloud Platform? Just submit in the comment box below or write us at Whizlabs Helpdesk, we’ll be happy to help you! 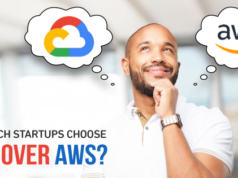 Why Our Tech Startup Choose Google Cloud Platform (GCP) over AWS?